We have a heavy influence of heritage ECR genetics as well as other greats of the breed. ​Genetics who play a large role in our herd include: Rusty, Roho Grande, Black Gold, Pango Hua, Southwest Cisco, Blue's Son, Loverboy, among others. 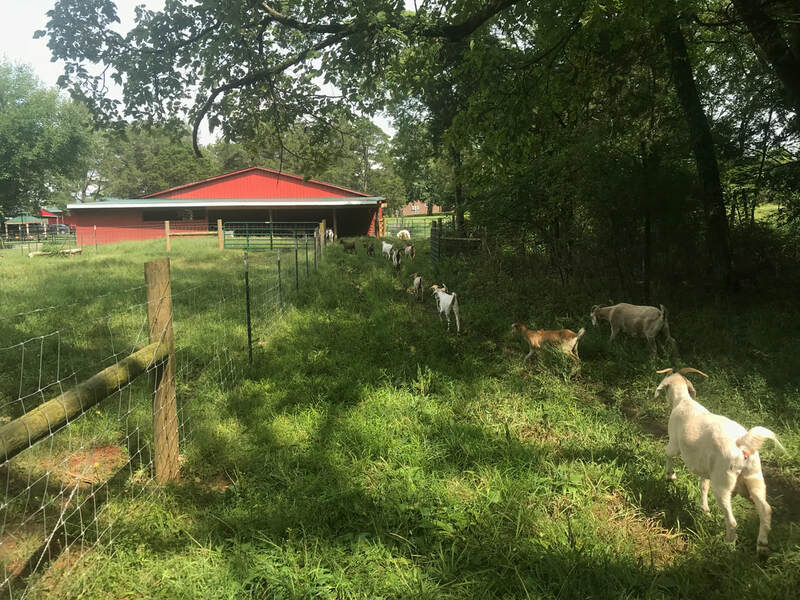 We strive to raise healthy Kikos goats by maintaining a test negative herd for Caprine Arthritis Encephalitis (CAE) and Johnes Disease (Paratuberculosis). We follow a bio-screen testing protocol at from Rocky Hill Kikos for on farm goats as well as any new arrivals during quarantine. We also bio-screen test all our sale consignments to ensure your buying quality goats without any underlying medical problems. We vaccinate for Caseous Lymphadenitis (CL) and CAE and keep detail data on all vaccinations. We strive to raise meat goats, first and foremost. More meat on the bone as quick as possible, so weaning weights and Average Daily Gain (ADG) are an important metric to be used when evaluating your herd sires and does. The faster those kids can reach market weight the better off a producer is going to be. We on-farm performance test our kid crop each year and keep detail data to evaluate and advance our breeding program. 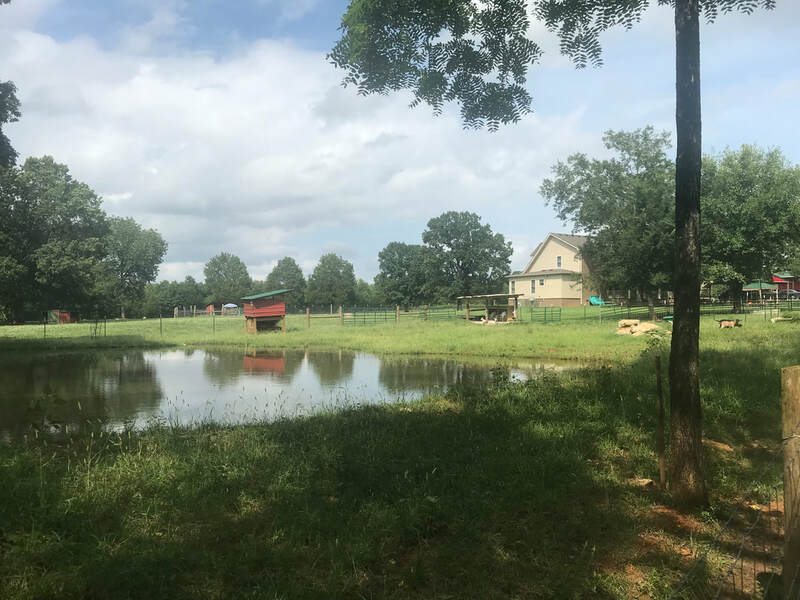 We work hard to manage parasites in our goats, we practice rotational grazing so that our animals are not eating below 4 inches of forage in our pastures and we summer them in our thick cut-over timber which provides a lot of browse. We only deworm where necessary and keep detail data. Multiple occurrences will lead to the animal being culled - no exceptions. Parasite resistance is a heritable trait and an important part of our breeding program at Rocky Hill Kikos. Maternal Instinct is another cull factor for us. We have seen great maternal traits in our does from Isiah's Fire (Nick influence), Way Beyond the Blue (Blues Son), and those with Loverboy. That doe must clean those kids and get them up to nurse and not leave them behind. For a doe to keep a spot in our breeding ranks this is a must. Neglecting kids during birth even if its cold or before weaning is a quick way to get sent to the stock barn or ground into snack sticks. Whether your interested in breeding stock, commercials, or just want to "talk goats" give me a shout. Our kidding season is in full swing and I'd love to have you come visit.